Nominated for: reaching new heights while staying grounded. The Weeknd had a great 2016 even before you consider the fact that he cut off his trademark dreads—reportedly in part because they were his trademark—to rock a cool short ‘do. 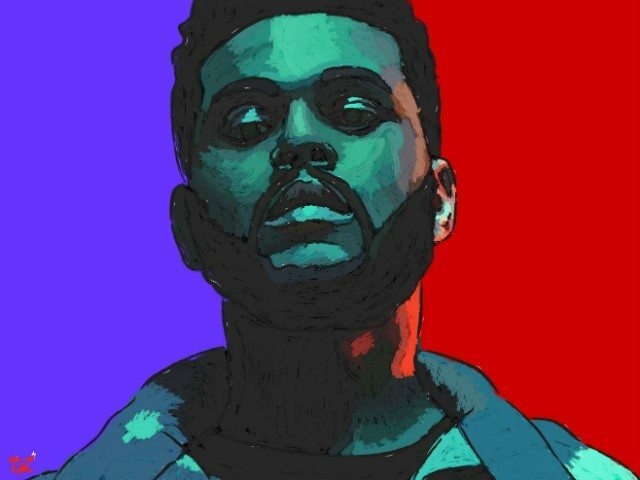 Consider the success of Starboy, The Weeknd’s third full-length album, which hit #1 on the charts in over 80 countries and received quite a bit of critical acclaim. Consider also his guesting on Kanye West’s The Life of Pablo and Beyonce’s Lemonade, or his second appearance on Saturday Night Live, or performing with Lauryn Hill on The Tonight Show, or becoming a model for H&M for some reason. (Well, presumably the reason is “a lot of money.”) That’s all pretty great! What’s more, Panic! At The Disco covered “Starboy,” and while that’s not actively great in and of itself (because have you ever heard Panic! At The Disco? ), it’s pretty great when bands desperate for relevance decide that covering your work is the way to get attention. The Weeknd has come a long way since Drake first helped him go viral. Of course, lots of musicians are successful, and some of them are even good, and that doesn’t make them heroes. A significant factor of what makes The Weeknd one of our Heroes for 2016 is his relentless philanthropy. He donated $50,000 to St. Mary Ethopian Orthodox Church. And $50,000 to the University of Toronto to launch an Ethiopic studies course. And most notably, $250,000 to Black Lives Matter. This isn’t new for The Weeknd, either; he’s been quietly supporting Ethopian-Canadian initiaitves and civil rights for years. It’s just that this year he got a lot less quiet. All that, plus he’s got that great new ‘do.